The perfect Christmas gift… Asking for a friend. Just kidding. Maybe. Have you finished your Christmas shopping yet? Have you started your Christmas shopping yet? I definitely have not but that’s okay because there is still time! Remember when ripping away the red and green paper on Christmas morning to behold a pair of socks was even more disappointing than the time grandma didn’t get around to making the favorite Christmas specialty dish you’d been looking forward to for the last 11 months (probably because she was rushing to finish knitting those socks)? Even more sad than when your school decided the last day before the break was NOT going to be pajama/movie day? Man those times were tough. But now? A brand new pair of socks is pretty much the industrial revolution’s number one gift to humanity. Merry Christmas to us, right? Amen? This Christmas, stuff your stockings with stockings! Glam up your holiday outfit with sparkly socks or make someone’s day via pair with bacon on them. Or corgis. Everyone loves corgis. I’m not sure when my 180 turn for socks became a thing, but now socks are my favorite gift, to give or get—Christmas or not—probably for the same reason I insist on always having my toenails painted an absurdly bright shade of red or pink. You can’t look down at your feet without smiling when you’ve got polka dots or sparkles all over them. It’s much more simple to stick with the cozy white ankle socks from Costco all the time. Yes. It’s also a lot less depressing when your washing machine abducts and devours a white Costco sock. But if growing up on a farm taught me anything, it’s that loss is a part of life so you better make the most of it — I.e. 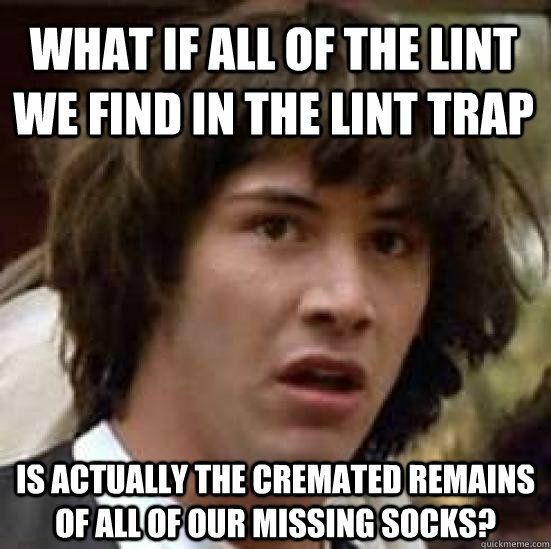 buy the pretty socks even if one goes missing. The most challenging aspect of pretty socks (besides the death rate among partners) is being able to wear them in a way that still looks good with the rest of what you have on without covering them up completely. Fun Fact: Rhianna liked this photo on Instagram. Probably my proudest accomplishment in life. Socks and Sandals This is probably the hardest look to pull off, but when done properly it can be brilliant. 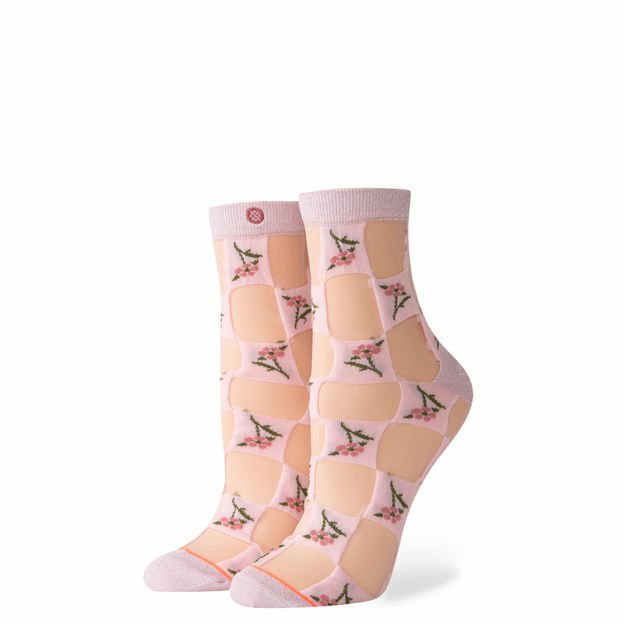 A fun pair of socks can make your spring/summer shoes wearable in the colder months. The best way to do it is to opt for a pair of socks that offer some sort of contrast, whether it’s color, texture, or print. An exception to this rule is with black sandals. Sometimes wearing black socks with black sandals can make the shoes actually look like booties in a more interesting way. Socks on Tights You can really rack up the layers to keep warm by wearing a tall pair of socks over your tights. Opt for heathered stockings over black tights for an extra cosy look, or solid stockings over printed or textured tights to give an unexpected element of depth to an outfit. Grunge them Up Carefully clip and pull the tiny elastic cords from the top of tweed woolen stockings to make them look more worn and interesting. 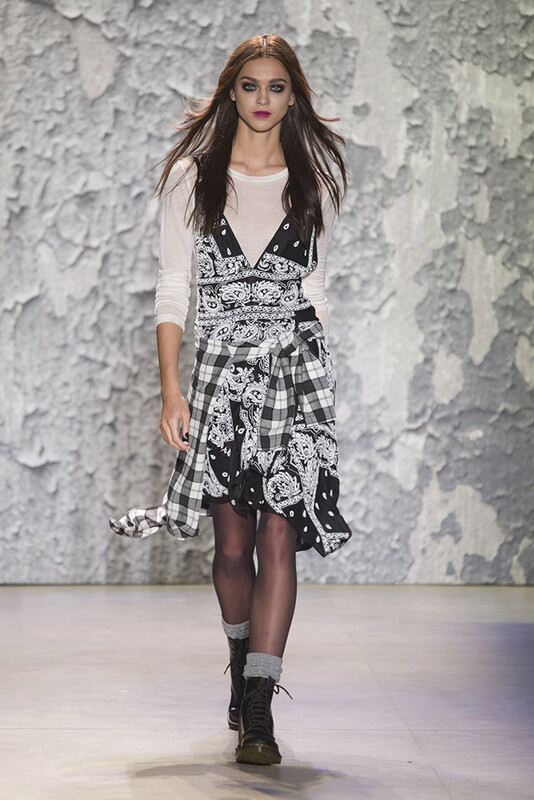 It gives a similar effect of distressed jeans that channels 90’s grunge in the good way. Shop HERE. 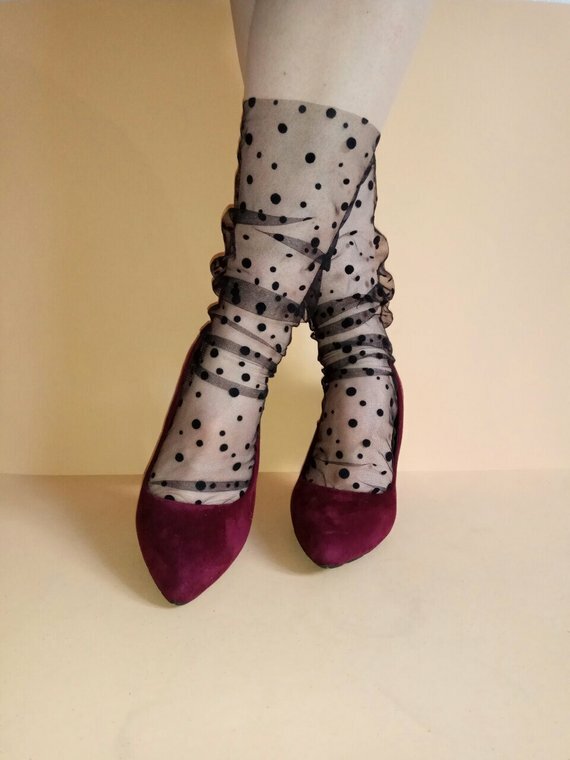 Sheer Socks See-through socks with dots, beads, glitter, or wide net are so fun and so easy to incorporate into most outfits. It may seem counter productive, but even the thinnest tulle socks can help keep your feet warm and protected from pretty, but harsh, dress shoes. You can pair them with high heels to dress them down, or with sneakers to dress them up. The sheerness makes them appear much less “shocking” than solid socks in sandals or heels because you can still see your feet through them. 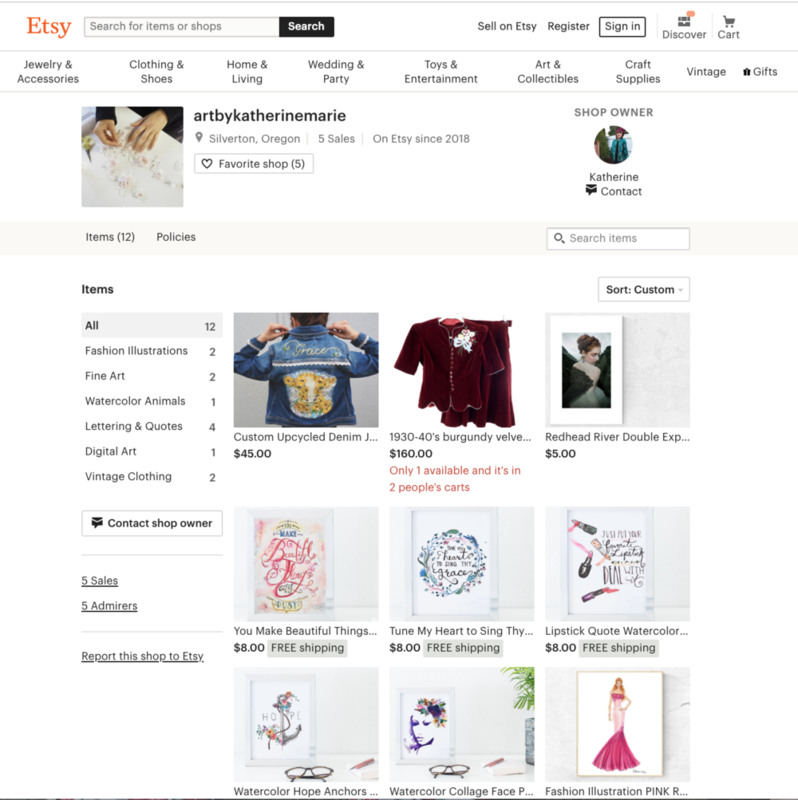 Etsy is a great source for these, though Urban Outfitters has less expensive options too. Printed Socks Try going monochrome with an entire outfit and adding in a bold printed sock to give the look some extra character. It doesn’t have to show much. A peek between the top of your shoe and cuff of your jeans is enough to do the trick. Another way is pair prints of the same color. For example, a large green printed blouse with tiny green pinstripe socks will create a fun uniformity that ties the whole look together. 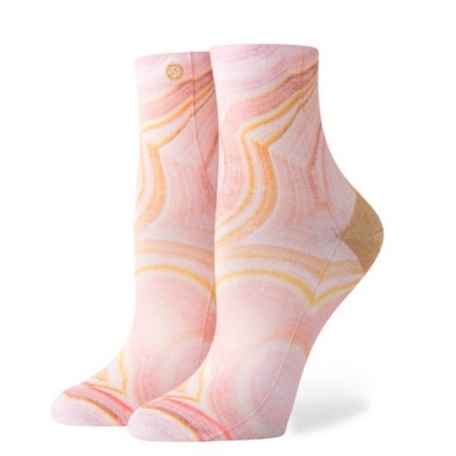 My absolute favorite brand of socks is STANCE, which specializes in fashionable prints. Put a Bow on It How fun is a little bow peeking out the back of your shoe? Don’t worry, you won’t look like a four year old unless you want to. Grow it up by opting for black socks with a black bow in dress shoes or something more girly in a serious shoe. It’s hard to go wrong either way when wearing them with sneakers. You can purchase them with bows (see below) or add your own with a hot glue gun or a few quick stitches with a needle and thread. Be Sassy There are so many hilarious socks out there with brands such as Sock it to Me or Johns Crazy Socks. These make the best gifts no matter the occasion or how well you know the person. They’re perfect for kids, too, even with the whole “sock stigma” that people joke about. Guys Need Fun Socks Too! 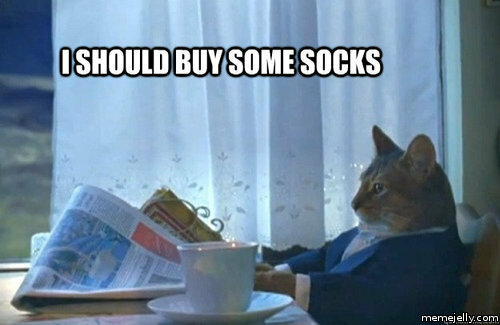 Living in New York, I saw so many fancy businessmen rocking the fun socks. I’m talking suit, tie, jacket, loafers, everything plus blue and pink socks. And it was incredible. Guys can go dressy with classic prints with work attire or incorporate humor into a casual (not even planned) outfit with funny prints and designs. More on how guys can wear fun socks HERE. Check out some “funny” men’s socks HERE or great printed socks from STANCE HERE. 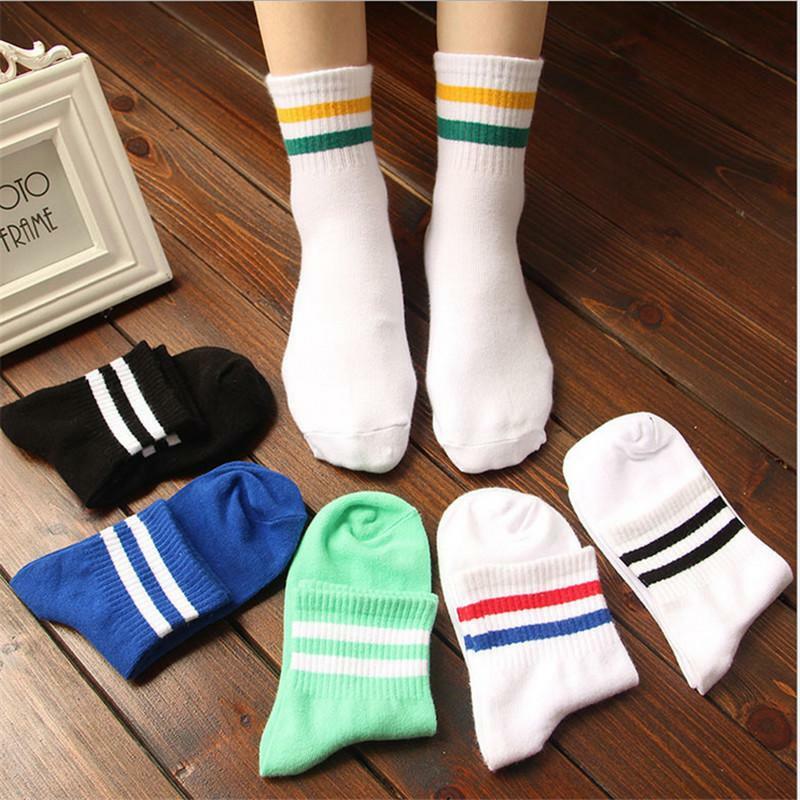 Which socks are your favorite? 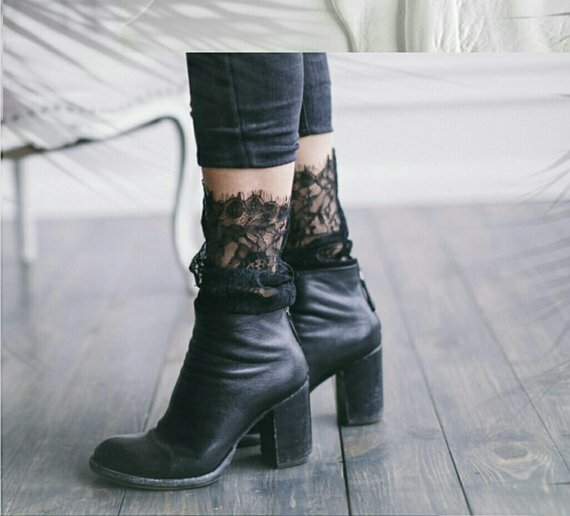 How do you style socks in your outfits? Let me know in the comments below!